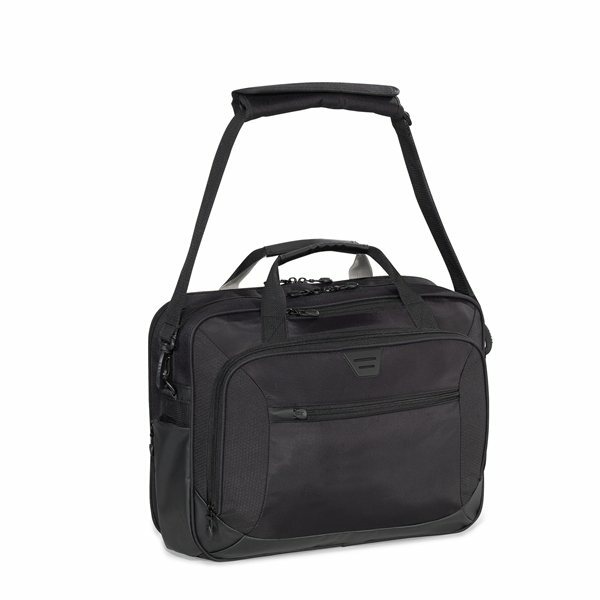 Zippered main compartment features mesh interior pockets ideal for cable storage. Fully padded computer compartment with scratch-resistant lining (fits up to a 15" laptop) opens flat to expedite airport security check-in. Front zippered compartment with multi-function organizer and padded scratch-resistant tablet pocket (fits all tablets). Top zippered easy access smartphone pocket. Zip-out, concealed water bottle pocket. Removable, adjustable padded shoulder strap. Trolley strap feature slips over luggage handle for easy transport. Fabric/Material: 420D Nylon/300D Honeycomb Ripstop/Tarpaulin. Got what I wanted and everything came out just as I asked. I have recommended AnyPromo to many people. Great cost, great quality, your site is very simple to use, with very fast response and delivery of product. We are ordering more!!! Wished that they were less if one ordered more. they were produced and delivered in very good time. No complaints whatsoever. I'm happy with this particular product. It's durable and appears great! Imprinted logo is what I liked the most. Quality of plastic is what I liked the most,too. Working with customer rep again!